When you’re deep the depths of winter, sometimes its nice to have a little extra warmth on hand. 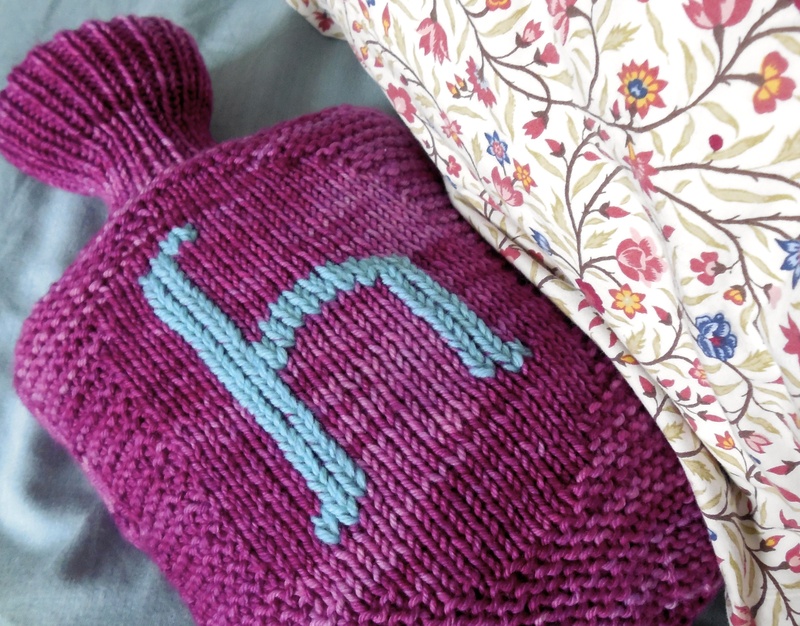 If you’ve never used a hot water bottle to warm your feet at the bottom of your bed, or hugged one close under blankets while you’re nesting on the sofa on a blustery snow day, why then, you’re missing out! 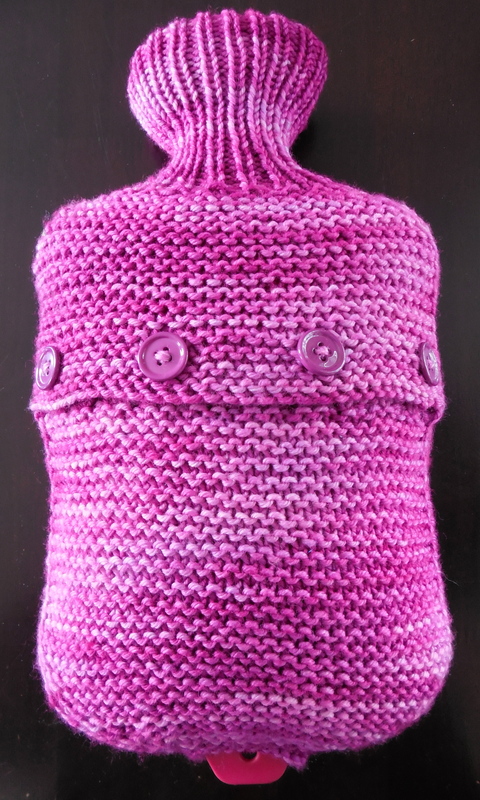 The only thing better than a hot water bottle, is a hot water bottle covered in super soft merino wool, stitched up in squashy garter stitch. 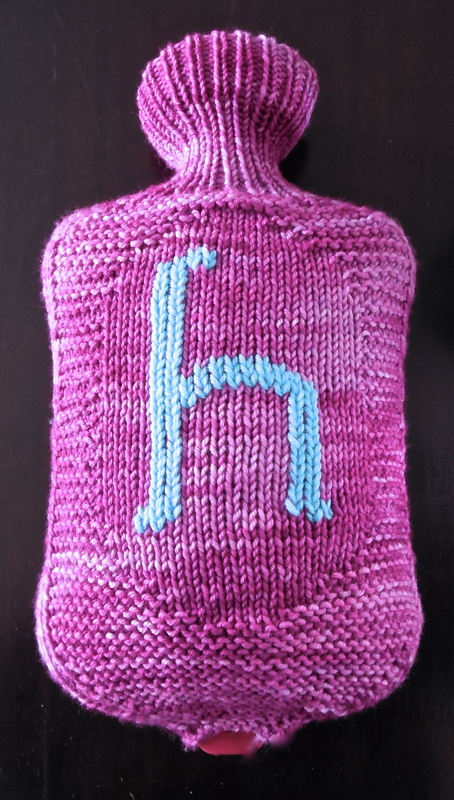 And the only thing better than a woolly hot water bottle, is one knit in a cheerful color with a pretty monogram stitched upon it. This simple, yet pretty, pattern uses some fun techniques like provisional cast on and duplicate stitches. The pattern has complete written directions and charts for both construction and also every letter of the alphabet for you to personalize the cover for yourself, or as a gift. Alternatively, you can omit the stockinette oval and go monogram-less, sticking with garter stitch all the way around. Leave a comment if you would like to win a free copy of this pattern. 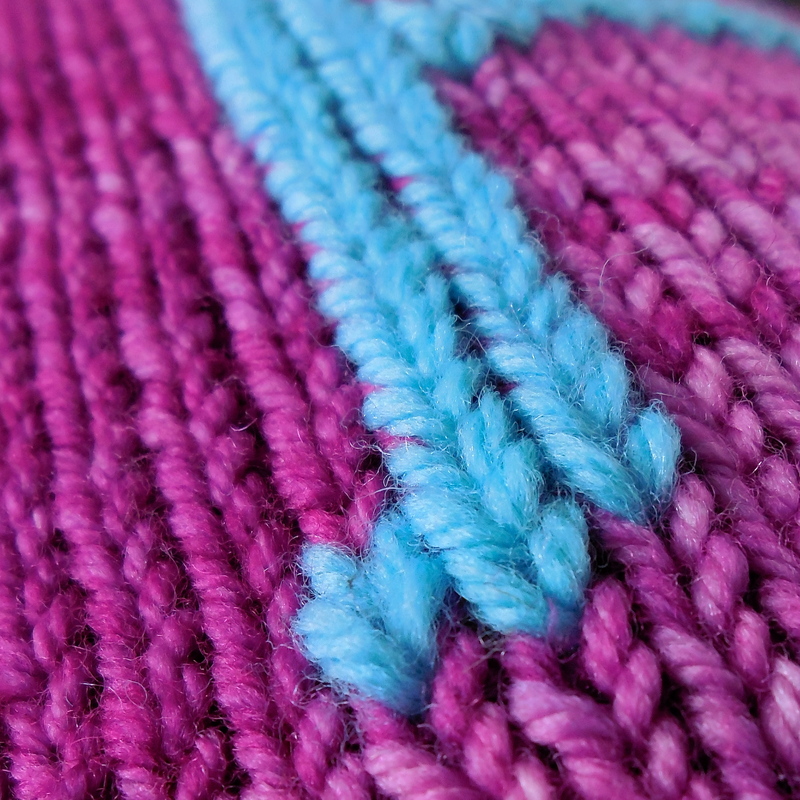 Let us know what new knitting techniques you most want to learn. Have yet to try any sort of colour work, but, this looks like something I could try as I love sewing!